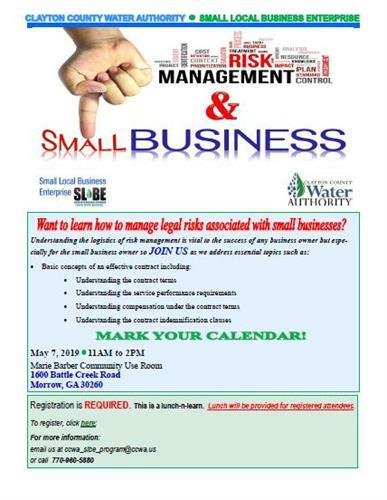 Want to learn how to manage legal risks associated with owning and operating a small business? Registration is REQUIRED. This is a lunch-n-learn. Lunch will be provided to registered attendees ONLY. Registration is REQUIRED!! This is a lunch-n-learn. Lunch will be provided for registered attendees ONLY. Ticket must be presented at check-in.